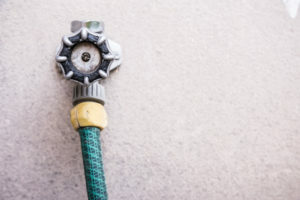 Don’t leave your hose hooked up in the winter months below freezing. If you’re concerned about your pipes freezing, let your faucet drip through the night and leave cabinet doorsopen. In certain situations you can use heat lamps, safety first. You can install heat tapes and or pipe insulation. Do not abuse your garbage disposals or kitchen drains, such as rice potato peelings or carrot peels, and nothing with roots like celery. Limit your grease going down the sink, wipe pans out with paper towels before heading for sink or dishwasher. You can treat your drains regularly with a drain cleaner like Bio-Clean or RootX cleaners. You can install heat tapes or pipe insulation. The only paper that goes in a toilet is toilet paper. No feminine napkins go in the toilet, put them in the trash. No hair creams or any other hair products. Limit hair down the drain. Make sure you know where your main water shutoff valve is located, and that the valve works properly. Keep a lookout for leaks in cabinets where there is plumbing. If you are going to leave your house or business for a period of time make sure you cut your water off. Also turn off electric or gas to your water heater. 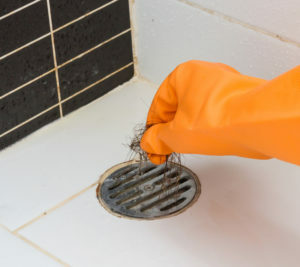 Know where your sewer clean outs are located. Keep a lookout on any pump systems such as sump pumps or sewage injector pumps.